The Week: In a bid to spread awareness about the Hare Krishna Movement in Russia, the Kolkata chapter of ISKCON has decided to make it the theme of this year's Rathyatra in Kolkata. 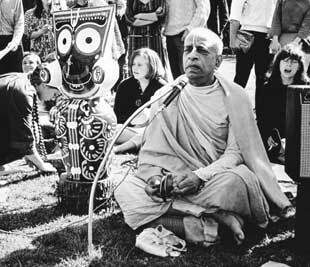 "Today, there are over 130 ISKCON temples and centres. In Russia alone, there are 30,000 local sanyasis and disciples. But this huge infrastructure and movement was not built in one day. 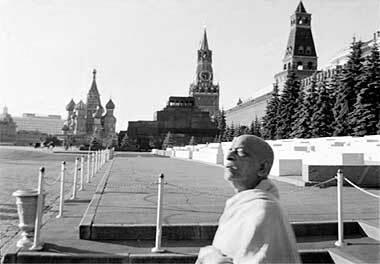 It took years of struggle since 1971 when Swami Prabhupada - the founder of ISKCON - first visited Russia," said Radharaman Das, general manager, ISKCON - Kolkata. The decision to glorify 'Hare Krishna Movement' in Russia comes months after Hindus in Russia won a major legal battle after a court in Siberia dismissed a state prosecutor's case seeking a ban on a Russian translation of the Bhagavad Gita. The case triggered an uproar in India, rocking parliament for two days, with MPs cutting across party lines asking the government to use its diplomatic skills to get the issue resolved. "Many Russian devotees will be participating in this year's Kolkata Rathyatra. We will also display the history of 'Hare Krishna Movement' in the erstwhile USSR and this will be explained by the devotees from Russia," he said. The main attraction of this year's Rathyatra will be the main gate of the Rathyatra festival venue, which will be a replica of the Saint Basil's Church in Moscow. The entire Rathyatra fair will be transformed into a mini-Russia surrounded by Russian devotees and Russian landmarks.